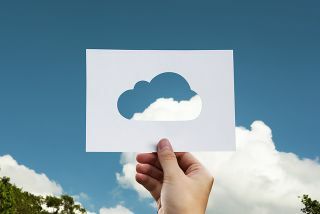 Over the last few years this has become an unfashionable idea for many enterprises that have been sold on the idea that public cloud is the most economic way forward. However, recent research has shown that private infrastructure doesn’t have to require the vast investment and high cost of operations it once did and can now actually be just as cost-efficient as the public cloud. Adopting a multi-cloud approach that uses a combination of public and private platforms means businesses can run workloads where they are best suited. A combined approach means they can be much more flexible in responding to capacity needs and maximise the return on their cloud investment whilst benefiting from the economies of scale of internal infrastructure provision. However, a closer look at the inner workings of these data centres often reveals a huge amount of over-expense, accompanied by allocation of compute, network and storage resources that very few people properly understand or know how to optimise. This is not unusual when a data centre has been operational for many years. We all know how we can lose track of what we have where in our various personal computing devices and this issue is amplified exponentially when talking about a data centre containing hundreds, thousands or even hundreds of thousands of servers. After all, taking the time to regularly audit and tidy everything up is a luxury few businesses can afford, especially if it requires some system downtime. These internal knowledge gaps can be a significant problem. There may only be a handful of people within the business who are fully aware of the data centre’s inner workings, which could present some serious issues if these people leave the business or aren’t on-hand to respond to an emergency. Finally, businesses with disorganised data centres are unlikely to be getting the best return on their investment. Infrastructure inefficiencies can add significant expense to data centre operations and internal processes, thereby impacting employee productivity and, ultimately, the bottom line. The result is that many businesses are being tempted into ditching their private infrastructure in favour of public cloud platforms. That way, the thinking goes, they can start afresh, paying for what they use, reduce waste, and spend more time and resources on growing their business. But is this really the best way forward? So, data centres and workload management can get messy and start to look inefficient, that’s something no organisation can avoid. For some, this creates the feeling that the public cloud is the only real option and that their own data centres are not worth the hassle. This is where automation, modeling and abstraction plays a key role. Through automation, enterprises can simplify processes and eliminate time-consuming manual operations. Modeling of software components` gives an organisation an abstracted view of their components. The more day-to-day tasks can be automated, the more businesses can remove the administrative burden that has traditionally hampered many data centre operations. The more they can model software services the more flexible and efficient they will become.